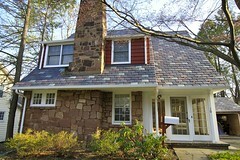 One of the most important aspects of home maintenance is Central NJ Roof cleaning. There are even some communities in the Central Jersey area that require regular roof cleanings – and for good reason! Algae that grown of roofs can spread from house to house and cause structural damage to homes if nothing is done about it. Even if roof cleaning is not required by your town, a dirty roof can still cause your house to look dirty and greatly decrease the lifespan of your roof. If a roof is well cared for, it can last upwards of two decades. For this reason it is very important that you contact your local Central Jersey Roofer for a cleaning today! Below, we are going to take a look as how roofs get so dirty and why regular cleaning is so important. Central NJ Roof Cleaning | Why is My Roof So Dirty? My roof is covered is blackish streaks and spots! It isn’t uncommon for new Jersey to get warm and humid during the summer months. During the heat, many home owners begin to notice black streaks forming on the top of their houses. People tend to assume that mold is responsible for the discoloration, however, this color is caused by algae that thrives on hot wet shingles. But how does the algae get planted on your roof in the first place? Algae spores are carried by the wind and land on roofs. The warm wet shingles provide the perfect environment for the algae to thrive. The worst part is that it actually gets its nourishment from the minerals in your shingles. These spores are easily carried from roof to roof by the wind. Because of this, it is common to see entire neighborhoods affected by the same algae. During the past 20 years or so, we have seen an increase in this type of algae in the New Jersey area. This is due to the fact that strains have adapted to live in cooler and less humid environments. Contact a trusted Central NJ roofing company today if you notice algae building up on your roof. A dirty roof can increase your air conditioning bills – Everybody knows that wearing dark colors on a hot sunny day will make you much warmer compared to wearing light colors that do not absorb as much light. The same concept holds true for your roof. As mold and algae build up on your roof, the dark areas absorb more heat from the sun. This causes your home to heat up more than it would with a clean roof. Your air conditioner will have to run overtime to keep your home cool and comfortable. By simply cleaning your roof, you can save lots of money on utility costs. A dirty roof can cause expensive shingle damage – Because algae is a living organism, it needs to eat as it continues to multiply on your roof. The minerals in your shingles make the perfect food source for algae. Over time the algae literally consumes your shingles and will inevitably lead to serious damage. If you do not get an Central NJ roof cleaning company to handle the issue, you may find yourself paying for a whole new set of shingles year before you should have to. 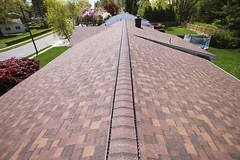 If you are putting off having your roof cleaned to save money, know that you will end up spending more in the long run. A Dirty Roof can cause health problems! – Not only can a dirty roof cost you financially, but it can also cost you your health. Spores pose respiratory health risks that can be devastating to your daily life. If the spores enter in through air ducts, they can get into your air and into your lungs. This can cause irritation, asthma, allergies and a host of other reparatory effects. It is best to eliminate the possible health threat ASAP with Central NJ roof cleaning services. Looking for One of the Most Reputable Central Jersey Roof Cleaning Companies? Based in the Central Jersey area, Biondo Roofing has over thirty years of roof cleaning experience. Biondo is a trustworthy and award-winning company. They always prioritize placing customer satisfaction at the very top of the list. 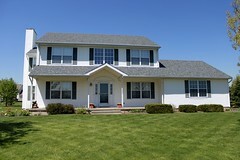 They aren’t just looking for a quick buck, but want to establish life-long relationships with their roofing customers. 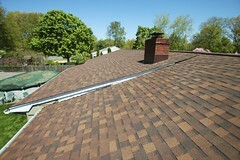 They provide free estimates on roofs and roofing projects and projects are supervised by the owner himself. All of this is just a few reasons we recommend Biondo Roofing as the #1 Central Jersey roof cleaning Company for 2017!